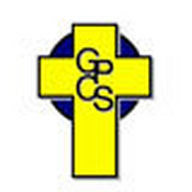 Grande Prairie and District Catholic Schools serves students of all faiths and backgrounds residing in the regional communities of Grande Prairie, Beaverlodge, Fairview, Spirit River and Sexsmith. Our faith based education is available to all families, and transportation is provided in urban and rural areas. In Alberta, Catholic Schools do not charge tuition. Our emphasis is Catholic Christianity grounded in Gospel values that articulate strong ethics, morals, and values and the creation of a a better community.